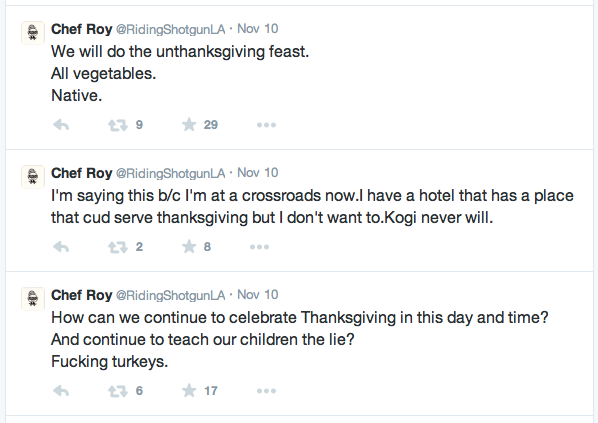 While other restaurants around the country frantically compose inviting Thanksgiving menus for guests who would rather have someone else do than cooking on the turkey-centric holiday of gratitude, Roy Choi’s Commissary is deliberately counter-programming the menu on Thanksgiving Day by presenting a vegetarian buffet. And, yes, that means no turkey whatsoever will be served. This Commissary holiday menu is dubbed Native Spirit Feast, with no reference at all to Thanksgiving. Chef Roy Choi has a reputation of fierce independence. He doesn’t do things if it doesn’t feel right or he’s opposed to it for whatever reasons. His opinion of the Thanksgiving is as large as a Macy’s Day Parade balloon—to put it gently, he’s not into Turkey Day. 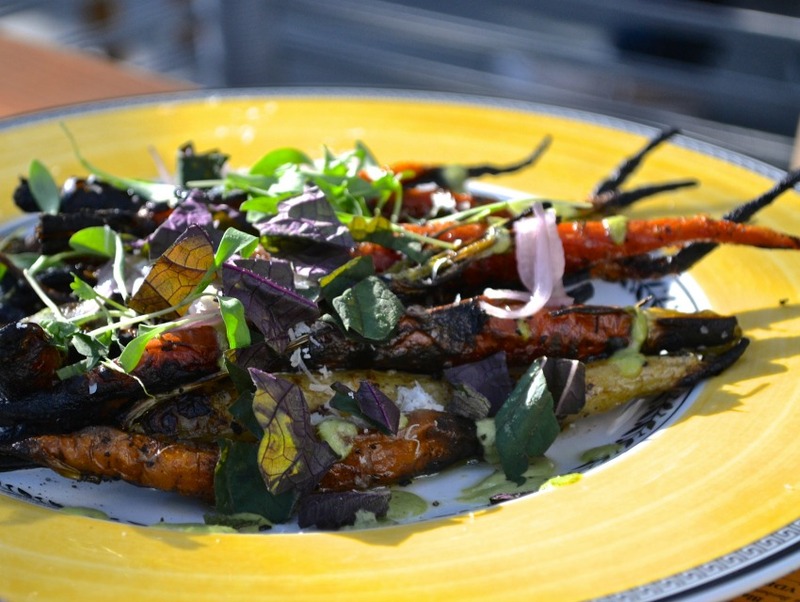 As far as the Native Spirit Feast buffet selection, you can look forward to an array of rustic dishes like Navajo fry bread, roasted corn chowder, forbidden rice salad, quinoa salad, pickled beets & goat cheese, tamales, pumpkin gumbo, and others. Desserts will be offered too. This unlimited vegetarian buffet is $45 per person and available on November 27 (*cough* Thanksgiving Day) from 3 pm to 8 pm; Regular menu offered from 7 am to 1 pm. Click here to book reservation or call.